Bike parades are a long-standing tradition for many towns and neighborhoods during the July 4th holidays. The kids look forward to getting creative and having some fun showing off their fantastic designs. 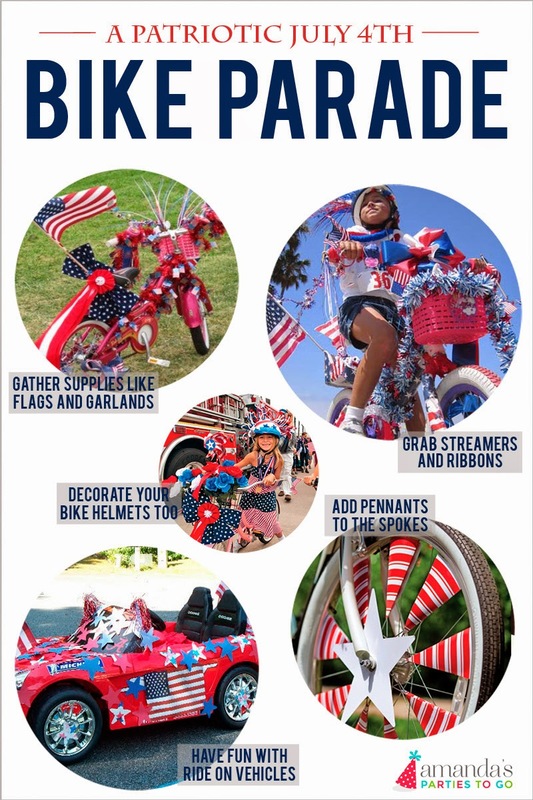 If your own July 4th festivities dont include a bike parade, you should host one this year. The kids will be thrilled! Let them know ahead of time that there will be a contest for small prizes with categories like Most Original, Most Creative, Most Patriotic, Best Tricycle, Most Awesome Bike, Wildest Wagon and more! Hand out candy, baked treats, Dollar store prizes and the like. You could even make some adorable ribbons for the winners to wear that day. Some fun ideas for decorations include balloons, streamers, flags, ribbons, paper cut outs, tassels, colored duct tape, card stock cut out stars, pinwheels, red white & blue leis, beaded necklaces, bunting and tinsel. Have fun and get creative! Be sure to follow our July 4th Pinterest Board for even more fun July 4th activities and ideas! DOWNLOAD our FREE July 4th Printables HERE. 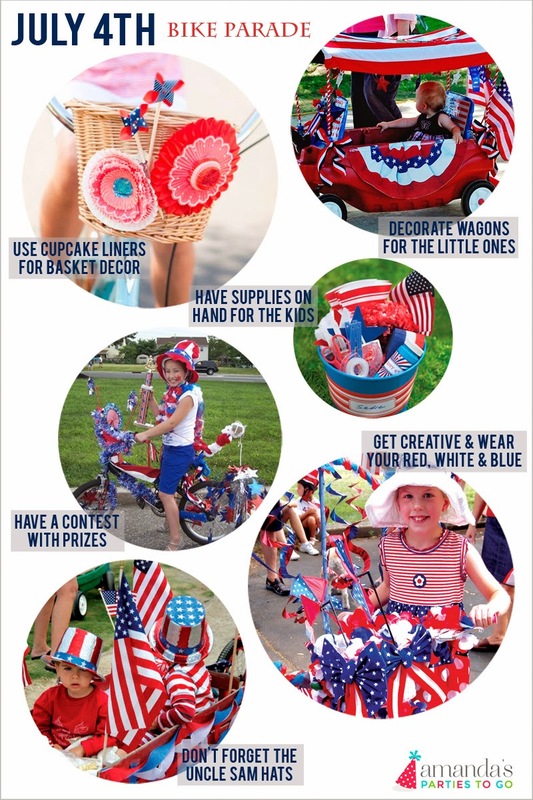 See our July 4th Kids Craft Ideas HERE. And more Patriotic Fun HERE.